DHAKA, Mar 2 2018 (IPS) - Nobel Laureates Mairead Maguire, Shirin Ebadi and Tawakkol Karman met with more than 100 women refugees in camps in the coastal Cox’s Bazar region of Bangladesh this week, as well as travelling to the “no man’s land” where thousands of Rohingya have been stranded between Myanmar and Bangladesh. 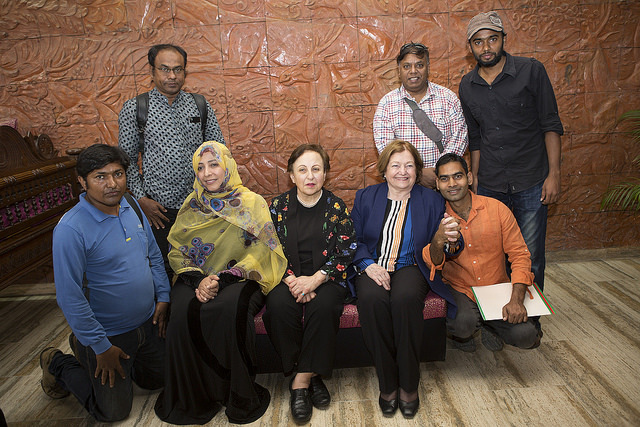 Mairead Maguire of Northern Ireland and Shirin Ebadi of Iran spoke to IPS correspondent Naimul Haq in the Bangladesh capital Dhaka. Maguire is a co-founder of Peace People, a movement committed to building a just and peaceful society in Northern Ireland. She and Betty Williams won the Nobel Peace Prize in 1976. She is well known for her work with victims of conflict around the world. Shirin Ebadi is an Iranian lawyer, former judge and human rights activist and founder of the Defenders of Human Rights Center in Iran. Ebadi was awarded the Nobel Peace Prize in 2003 for her pioneering efforts for democracy and human rights, especially women’s, children’s, and refugee rights. Following are excerpts from the exclusive interviews. IPS: You have called for trials of the Myanmar leaders in the International Criminal Court (ICC) for committing alleged genocide. 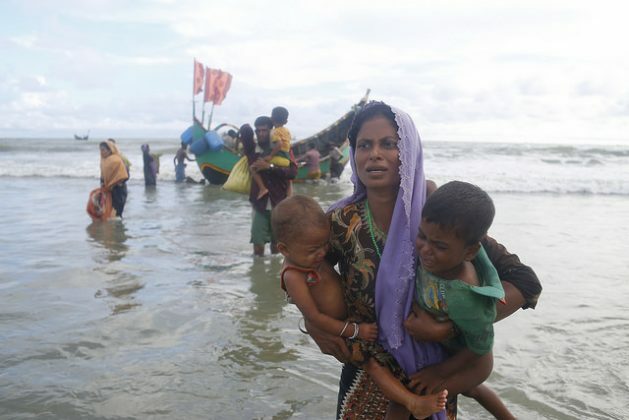 How do you intend to seek justice when the world seems to be so divided over the Rohingya issue? Maguire related the story of a woman who was raped repeatedly and left for dead. “The unconscious woman was later picked up by an elderly woman who took her to safety. That story of that woman being raped can be multiplied many times and you can well imagine the situation. So obviously we can understand that this is a policy of the Myanmar government to terrorize and expel the Rohingya people. They don’t even recognize them as their citizens. So the international community must take steps to do something. And we must take the Myanmar government to the ICC. Maguire explained that she and her colleagues wish to speak to envoys of as many countries as possible. “We would continue to pursue this dialogue with the ambassadors and leaders of the governments. We would also contact the United Nations and the European Parliament until this is taken to the international court. IPS: What is your opinion on the voices of the global community, especially the influential leaders, remaining silent to a large extent on the Rohingya issue? “I think many governments have interests in Myanmar, especially economic. In Rakhine state there are lot of resources like diamonds and costly stones. It’s all about money and oil. China also has interests in Maynmar because of these reasons. Unfortunately, many governments put profits before people. It should be other way around – governments should be responsible for taking care of their people. But they don’t want to say anything on human rights and justice because of political interests. 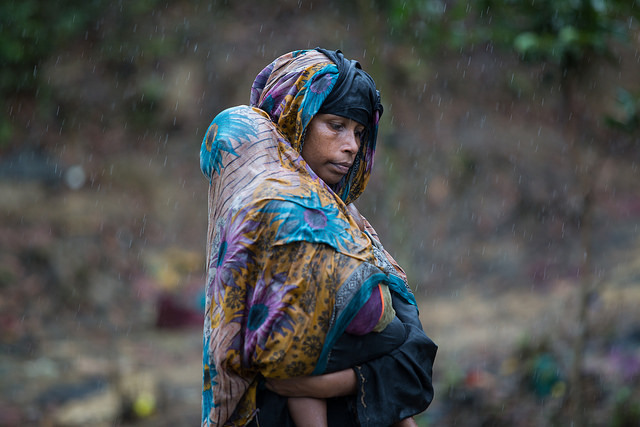 However, we have to say as leaders, as Nobel Laureates, people are important, every person is important and it is wrong because of economic and political ties to allow people to be destroyed like this. We have to speak out and move the world’s conscience. IPS: Do you believe that the United Nations has played its due role? IPS: How can media coverage help bring justice to the victims? IPS: How can Myanmar be brought before the ICC? Shirin Ebadi: Unfortunately, Myanmar is not a signatory to the Rome Statute [convention] for the ICC. So the only way this can happen is for the United Nations Security Council (UNSC) to decide to send the case of Myanmar to the ICC as they did in the case of Sudan. Ebadi also called on the wealthy Muslim countries, such as Iran, Saudi Arabia, Qatar and Kuwait, to do more for the Muslim-minority Rohingya. What message would you give to your fellow Nobel Laureate Aung San Suu Kyi? And do you also hold her responsible for the situation? The Nobel Women’s Initiative, in partnership with the local Bangladeshi women’s organization, Naripokkho, hosted the delegation of the Nobel Laureates to Bangladesh to witness and highlight the situation of the Rohingya refugees and the violence against Rohingya women. Tawakkol Karman was known as “The Mother of the Revolution” and was awarded the Nobel Peace Prize in 2011 in recognition of her work in nonviolent struggle for the safety of women and for women’s rights to full participation in peacebuilding work in Yemen.